The IFI Irish Film Archive holds an increasingly comprehensive collection of feature, short and documentary films, alongside news reel footage and amateur films. The IFI Irish Film Archive holds one of the largest collections of film and film-related materials in Ireland. Over 700 individuals or organisations eager to see their films preserved and centralised in a national archive have entrusted material into our care. We have a non-purchase acquisitions policy, and material is accepted from private sources, production companies and professional bodies. In addition to commercial output, we are eager to acquire amateur material, once it falls within our acquisition policy. The collection numbers over 30,000 cans of film, 15,000 broadcast tapes, and an extensive collection of digital material. In addition to our moving image collections, we hold a large number of items in our Special Collections, i.e. artefacts posters, stills, and documents. These are held in custom-built, climate-controlled vaults, the only ones in the country that have been designed for the long-term storage of this type of archival material. 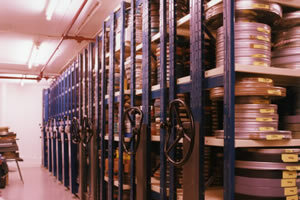 The Irish Film Archive Moving Image Collection exists in a number of film, tape and digital formats. The following list is intended as a broad introduction to the major categories within the collection. Feature films: an increasingly comprehensive collection of independently produced Irish feature films. 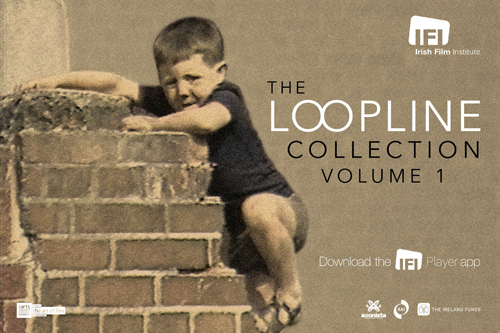 The IFI Irish Film Archive also holds Irish-themed feature films produced by non-Irish production companies. Shorts: a collection of short fiction films, less than 40 mins, includes student films, independent fictions and early works of feature filmmakers. Documentaries: a broad collection of documentaries of political and social significance. Newsreels: representative material from all but one of the indigenously produced Irish cinema newsreel series and a selection of issues from foreign newsreel Irish editions (e.g. Universal Irish News, Movietone Irish Edition). The earliest home-produced newsreel material is from the Irish Events newsreel (1917 – 1919) and the most recent is the Gael Linn Amharc Éireann series (1956- 1964). Travelogues/ tourist promotional films: non-fiction works produced by Bord Failte and by commercial organisations designed to attract tourists to Ireland or a particular location or amenity. Sports films: All-Ireland football and hurling finals from the 1940s to the 1960s produced by the National Film Institute for the G.A.A. The collection also contains a number of training films. Educational / informational films: films produced by, among others, government and semi-state bodies, educational institutions, and corporate bodies. Many of the films were distributed, or produced and distributed, by the National Film Institute between 1940s and 1980s to schools and colleges throughout the country. Subjects include agriculture, rural modernisation, immunisation, industry, savings, health and safety and hygiene. Commercials: collection includes early cinema advertisements, collections of individual producers and production companies (e.g. Vincent Corcoran; Tiernan MacBride), and complete collections of leading Irish advertising agencies. Religious and Missionary Films: films produced by Irish religious orders to promote their work at home and overseas or to focus attention on particular subjects of interest to the church. Animations: a small but representative collection of animated films includes early experiments in photographic animation, including Irish-language cartoons. Amateur films: films of personal or public events produced by amateurs. The collections include “home movies”, films of community activities such as Corpus Christi Processions, village fairs, work outings and military parades; and films of events of historical significance. This category also includes short edited fiction films made, largely by the Irish Film Society, for public but not theatrical exhibition.